One of the best parts about surfing the web for all the latest smart gadgets is discovering the most opulent and decadent gadgets. While some are genuinely luxurious, others toe the line between awesome and ridiculous. Here are five of those products. You be the judge. 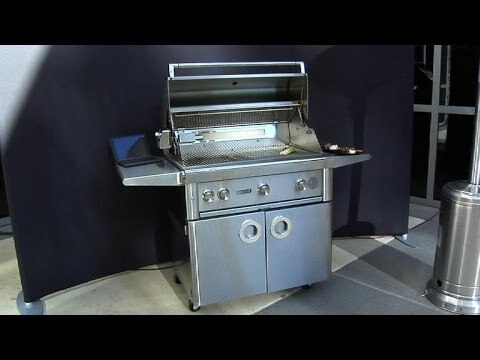 Lynx is already known for making amazing, top of the line, wallet-breaking grills so when they decided to add WIFI and smart capabilities to this work of art/grill, we knew it wouldn’t be cheap. The Lynx Smartgrill has a feature set that could make even the most hopeless chef into a backyard grilling champion. Use the database of recipes to let the grill tell you how hot, how long, when to flip, and when to take food off. All you have to do is load a recipe program and the grill will guide you step by step until the food is cooked. The 42” model has four burners and each quadrant can be set to its own temperature via the app. Electric valves control the gas flow and temperature probes make sure the temperature is held constant for each burner. The grill responds to a few basic voice commands. It also updates you on the food’s progress by talking to you in its own robot-grill voice. As long as it’s connected to WIFI, this Lynx can be controlled remotely via the mobile app. You can turn the grill on and off and set the burner temperatures remotely. All these great features come wrapped up in a luxurious and sturdy stainless steel frame and can be yours for the decadent price of $9500! The PicoBrew is your ticket to micro-brewing success no matter how little experience you have. Forget all the tedious steps and timing and temperature monitoring. The PicoBrew will do that for you. Just add the ingredients, choose a recipe and press the button. There’s nothing to stop you from making batch after batch consistently and deliciously. You can create your own recipe or choose from award-winning recipes from all the major brew styles. But don’t stop there. More adventurous brewers can experiment with tweaking the ingredients and recipes to make a unique and satisfying beverage that’s all your own. Once you’ve created your perfect brew, you can share your recipe with all the other PicoBrewers across the world! Considering the cost of buying all the necessary equipment separately, the PicoBrew isn’t all that expensive. It is by far the lowest priced and most practical item on this list but I thought it was just too cool to leave out. Check out the price on Amazon and start brewing your own beer for less than 1/4 the price of a Lynx Smartgrill! If you’ve ever wanted that backyard garden of freshly grown herbs and spices into your living room, then the Opcom Link Farm Cube may be right for you. 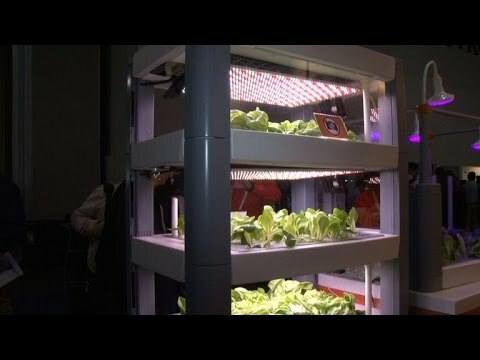 The Farm Cube is an industrial strength hydroponic growing system that you can use in your living room. The $4000 indoor plant incubator is capable of growing up to 200 plants over a 6-week cycle. It has different colored built in LED’s that provide exactly the right color light when the plant needs it depending on its stage of growth. 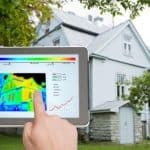 Humidity and temperature are monitored and the built-in fan can assist in humidity and temperature control if necessary. It uses UV purified water mixed with all the proper nutrients and fertilizers to feed your plants. All these settings are optimized for the exact type of plant you are growing. So, even if you are a complete newbie to gardening, you can have your very own freshly grown herbs and spices in as little as 6 weeks. Yum! This is a company that takes the term “porcelain throne” quite literally. This toilet is truly fit for a king. Toto is a leader in luxury toilets and the Toto Neorest is their top end model. Toto makes a few different variations of their Neorest model, but their biggest and baddest unit with all the frills and thrills will run you about $5500. Let me just take a minute of your time and paint you a picture of the Toto Neorest experience. You approach the Neorest and it senses you coming. The lid raises automatically and beckons you to take a seat. The seat warmer turns on in an attempt to lessen the shock of the cold hard surface on your bottom. You sit down with a sigh as the comfort envelopes your body. The automatic mist begins inside the bowl to prevent anything from sticking to it during use. You feel relaxed and confident. You are a winner. As you finish up, you reach for the remote control to turn on the bidet for hands-free cleansing. After that, press the button for the warm air dryers to finish your serene bathroom experience. Then as you walk away the Neorest flushes, deodorizes, and begins its anti-bacterial UV light cleansing. Whew! Talk about living the good life! The Samsung Family Hub Refrigerator connects the central hub of your kitchen to the internet. Why? More like why not?! And, while they were at it, they mounted a tablet to the front door and installed some spy cameras on the inside. Voila, a smart fridge! Even without its smart capabilities the Family Hub is a high-quality fridge. It’s made of sleek and modern looking black stainless steel. It has four doors to be sure everything is easily accessible. It includes three separate cooling zones and has five customizable temperature settings to be sure all your foods are at their culinary peak. The family hub fridge lets you see inside the fridge without opening the doors. The contents of the inside can be viewed easily from the large tablet screen thanks to cameras mounted on the inside. Once you know what’s inside, you know what’s missing too. Then, you can order groceries directly from the touchscreen. The touchscreen is not just for food purposes. It also has an integrated family calendar app. It has a photo display app that lets you “hang” all the photos you want on your fridge without the cluttered mess of refrigerator magnets. And, just in case you don’t have a TV in your kitchen, you can now stream music and videos your fridge. Thank you, Samsung. Your Family Hub refrigerator is a little ridiculous and unaffordable, but it’s still pretty awesome. I’ll take one of each! Pretty darn amazing but totally unnecessary. Except maybe the PicoBrew. I’d love to have that at my house! These smart gadgets are cool, but I always think they must be awfully expensive to repair. But I guess if you can afford to buy them in the first place, you can afford to pay someone to repair them. I think “smart” is a bit of a misnomer when you would have to be pretty stupid with more money than sense to buy some of these gadgets. I certainly wouldn’t feel very smart after spending $9500 on a grill or $5500 on a loo. I love all of them too but would really love the Farm Cube for my house. It’s interesting to look at the cost of production, and the time taken, for the plants to grow. I wonder how it compares, or if it’s mainly a convenience item – having the fresh plants right there. Thank you! Yea, I’m not sure if their goal is to market this for residential use or commercial use. They also apparently sell a package where they fill an entire shipping container with these cubes. It is intended to be a mobile grow center. keep us posted with more gadgets. I can think of a few things to grow in the Farm Cube, haha! But seriously, that would be great for in the winter time. Interesting items here but not very practical. Although it would be nice to have the Farm Cube. To be able to grow and have fresh tomatoes year round in your own home. Great idea. 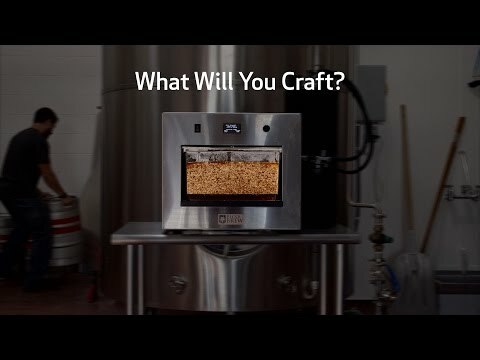 PicoBrew looks like it kind of takes the fun out of crafting your own home brew. The doing of it is all part of fun, but to each his own. But I can see the OpCom Smart Garden as being the wave of the future. As more people, particularly urbanites, want fresh greens with lack of growing space, hydroponics can be a viable alternative as long as energy is plentiful. This one seems expensive, but hydroponic systems don’t come cheap, and that one is self-contained. Personally, I’m not a big fan of the tedious nature of temperature control and cleanliness so it seems like a great idea to me. You still have control over ingredients and temperatures and times…it’s just way easier! I love reading these kinds of articles. I wouldn’t mind if the toilet automatically raised the seat as i approached, but how would it know if i needed it raised?! I think it’s only a matter of time before these things become more cost-effective and perhaps standard in every day homes. Technology seems to have that effect. One day it’s state of the art, the next it’s an everyday gadget. I’m personally a gadget nerd, so keep these kinds of articles coming!